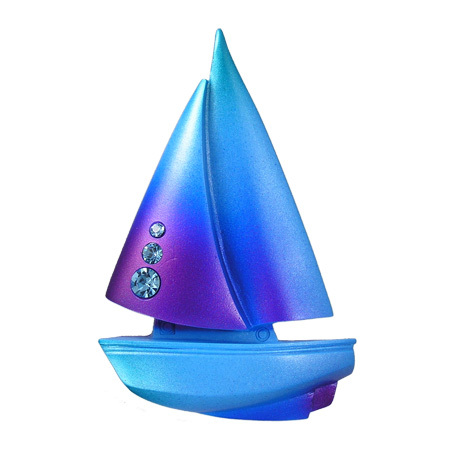 We redesigned our popular sailboat. It is now larger, more detailed, and comes in three, tropic-colored airbrushed finsishes. To top it off, it is jeweled with CRYSTALLIZED™ — Swarovski Elements.